New Orleans, LA, WPH Press, 2/19/17- The World Players of Handball and the New Orleans Handball Community presented the finals of the fourth stop of the Race 4 Eight season from New Orleans, as the Race 4 Eight superstars continued their quests for Race 4 Eight crystal and jockeyed for the top spot in the Race 4 Eight Power Rankings. 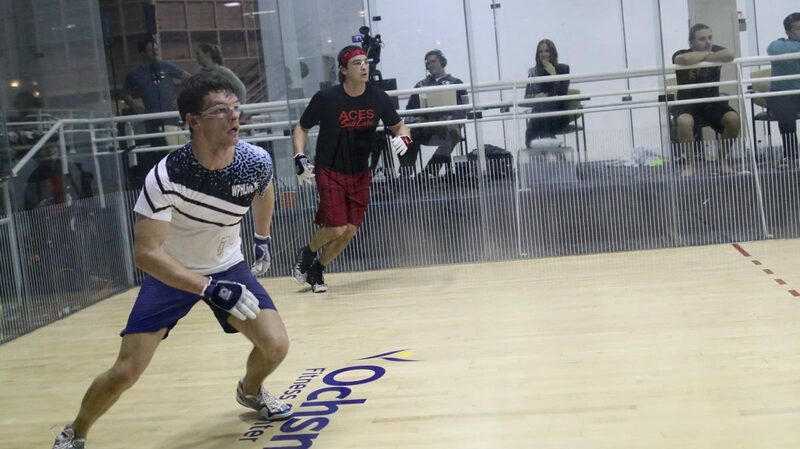 Killian Carroll and David Fink were both making their third appearances in a Race 4 Eight final, with Carroll having lost his first at last years New Orleans stop and winning his second at the 2016 WPH R48 Player’s Championship. Fink was appearing in his third consecutive final and still in search of his first title, having lost to Mando Ortiz in Minnesota and Luis Moreno at the Plummer Bash. The finals showdown marked the first matchup between the Race 4 Eight stars, with the winner of the final moving to #2 on the WPH Power Rankings and moving to within striking distance of #1. Fink was on fire to start the match, rolling out ball from virtually every spot on the court en route to an 11-minute first game romp. Fink continued to apply pressure in the second, building a 12-9 lead and standing just three points from his first R48 title. A costly error handed Carroll the serve and another back wall right-handed error by Fink changed the momentum of the match completely. 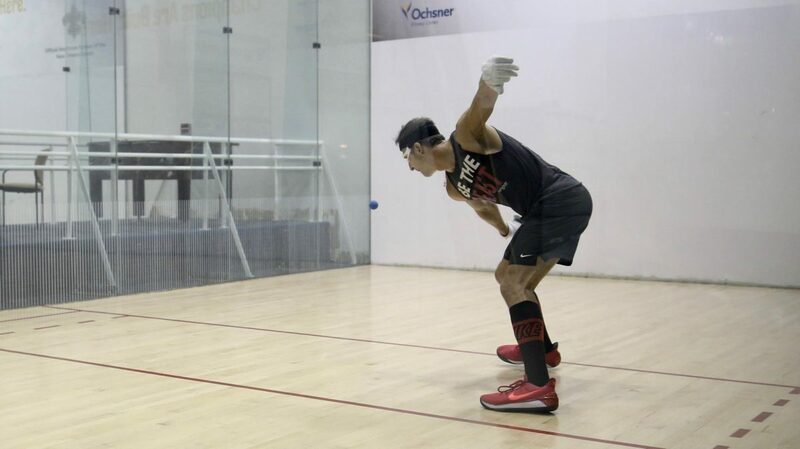 “That huge setup with my right off the back wall is something I practice in the court by myself four times a week for moments just like that one,” stated Fink. “I knew if I converted that shot I’d be two points from the match and serving but I think I just got ahead of myself and shanked it.” Carroll seized control of the second game from there, finding his range on his serve and scoring the final six points of the game to force a tiebreaker. Carroll continued to charge in game three, using a perfect ceiling game and v pass shots to keep Fink in the deep court and off balance. Carroll led 9-3 when Fink found his rhythm again, scoring five quick points to cut the deficit to just one. Carroll was unfazed, rattling off three aces and three kills to win the match and his second R48 title. Daniel Cordova avenged his Player’s Championship 5th place final loss to Vic Perez by defeating the LAAC superstar in the New Orleans final, using his dominating serve and power hops to keep Perez off balance and in the back court. Jonathan Iglesias had as little difficulty as possible in defeating Mardi Gras’ attendant Luis Cordova, wining the shortest match in R48 Playoff history. Canada’s Michael Gaulton became the youngest ranked player in the history of the Race 4 Eight tour, winning 17th place with impressive victories againt Russell Kenworthy, Michael Morgan, and Matt Chu. Congratulations to the Newfoundland man! Thank you to New Orleans tournament director Bob Caluda for another outstanding Nola Mardi Gras Open. Thank you also to the entire WPH staff and film crew for their tireless efforts in bringing the 2017 R48 Nola Mardi Gras Open to hundreds of thousands of homes across the world. Catch the Race 4 Eight 6 Stop #5 Houston March 3rd-5th with weekend coverage on ESPN3. To watch replays of the 2017 Race 4 Eight 6 New Orleans, go to the ESPN App ESPNApp (here), as the WPH continues its electrifying handball coverage for the third consecutive season on the Worldwide Leader in Sports. New Orleans, LA, WPH Press, 2/18/17- The World Players of Handball and the New Orleans Handball Community presented an electrifying Saturday at WPH Race 4 Eight 6 Stop #4 & Mardi Gras Open on Friday, featuring the Race 4 Eight quarterfinal and semifinal rounds from the Elmwood Fitness Center, just a few miles from New Orleans’ French Quarter. David Fink and Vic Perez kicked off an exciting quarterfinal morning on Saturday, with the two Race 4 Eight veterans pushing one another to the limit in a three-game classic. Perez entered his fourth quarterfinal in his last six R48 starts with an 0-5 R48 record against Fink but played like the favorite in game one, building an 8-4 lead and scoring the final eight points of the game after a Fink comeback. “I was just feeling good off the back wall and my shots were coming off,” stated Perez. Mando Ortiz and Andy Nett met for the second time this season, with Ortiz crushing Nett in their first encounter in the quarterfinals in Minnesota. 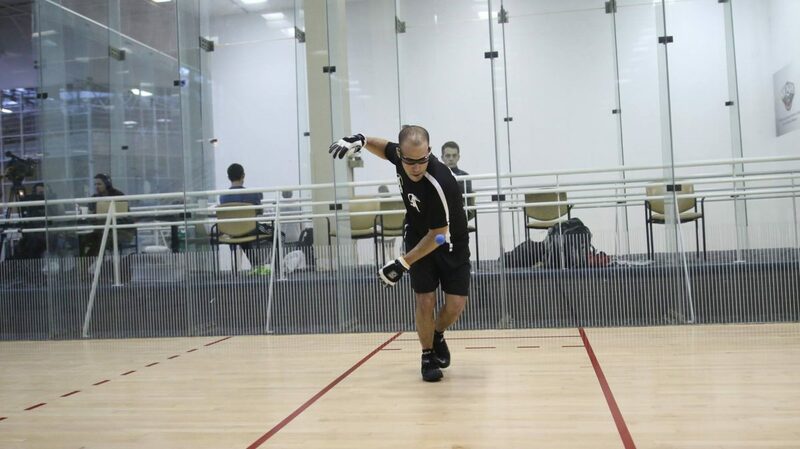 Saturday’s match would be anything but a blowout, as Nett and Ortiz thrilled the large Nola galleries with power handball. Nett was on the verge of taking game one after 35 minutes of sensational action, leading 14-13 with an opening off the back wall. The Minnesota Dreamboat was unable to convert the opening and Ortiz scored the final three points of the game to take a one-game lead. Game two was also close throughout, with Ortiz able to pull away late to advance to his third semifinal of the season. 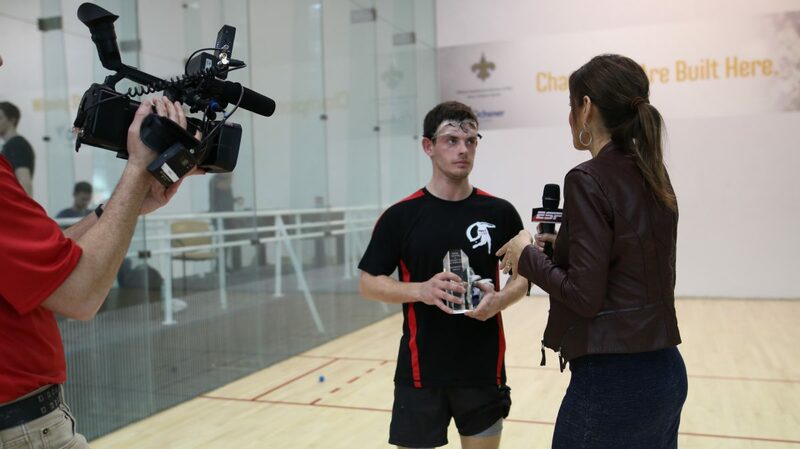 Killian Carroll returned to New Orleans for the second time after making the finals in last year’s Mardi Gras Open. Carroll was precise and clinical in game one, needing just 12 minutes to close out Cordova in game one. Carroll continued to steamroll in game two, building a 12-5 lead and closing out Cordova 15-10. “Killian just has such great movement and he really uses his pass shots well,” stated Cordova. “I wouldn’t say I’m playing the best I’ve ever played but I’m playing consistent and not just running around and retrieving,” stated Carroll. Killian Carroll and Luis Moreno met for the third time in the Race 4 Eight, with the pair splitting their first two matches last season. Carroll started terribly, making 12 unforced errors in a first-game blowout. “Luis just kept him off balance with power and hops,” stated R48 #1 Mando Ortiz. Moreno led 4-2 in game two, but Carroll found his game, eliminated his errors, and seized the momentum to force the tiebreaker. 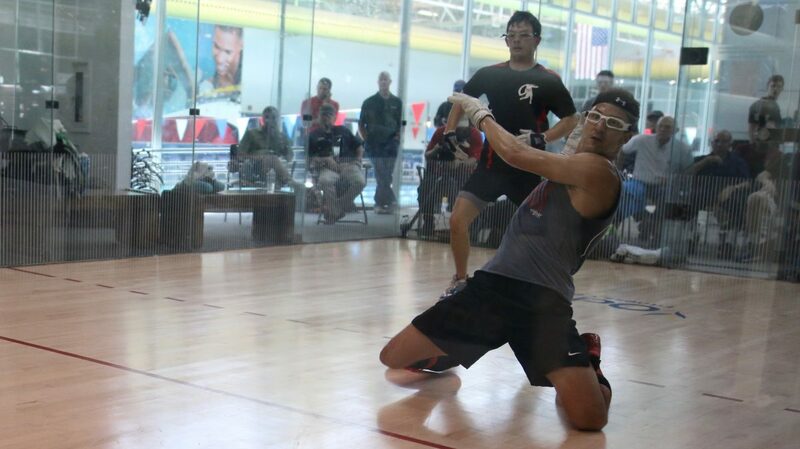 Daniel Cordova overwhelmed Marcos Chavez in the semifinals of the 5th place playoff, avenging his loss to the SR48 #1 from last month’s Plummer Bash to advance to Sunday’s 5th place final. Vic Perez earned his first win against Andy Nett in four meetings to meet Cordova in the final. Watch Sunday’s Race 4 Eight final and R48 Playoff finals from The Big Easy live on the ESPN App ESPNApp starting at 10 am central time (here), as the WPH continues its electrifying handball coverage for the third consecutive season on the Worldwide Leader in Sports. Shorty Ruiz played with intensity and precision in dismantling current 17-and-under national champion Michael Gaulton to qualify, while Adam Bernhard struggled to advance against vastly improving Matt Chu to qualify for the first time this season. Andy Nett, Ryan Pesch, Ryan Bowler, and Abraham Montijo easily advanced in their qualifier finals to move into the round of 16. Former college roommates Vic Perez and Jon Iglesias met for the second time this season, with Perez taking their first encounter in a tiebreaker at Plummer. 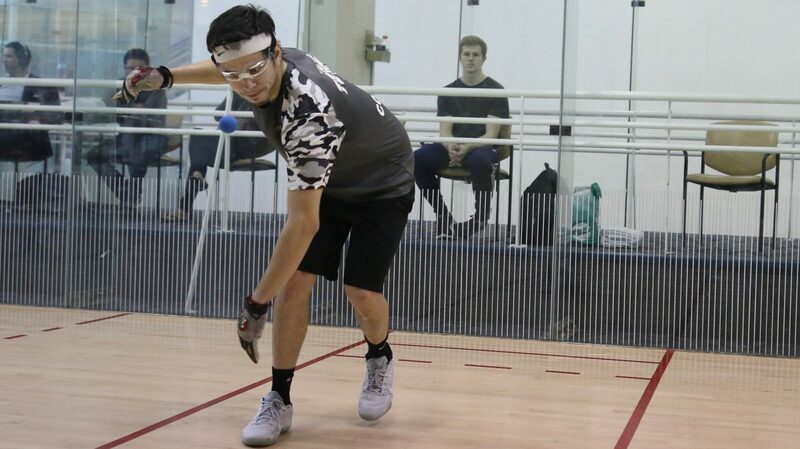 Perez blitzed his former bunkmate in game one, but found himself trailing 3-9 in game two. Perez methodically climbed back into the game on the heels of sensational rallying and bottom-board kills to serve for the match at 14-11. Iglesias saved the first match point and tied the score at 14 but was unable to climb the mountain, succumbing 16-14 in overtime. Perez clinched his fourth quarterfinal finish in his last sox starts. Killian Carroll was virtually flawless in taking down Minnesota’s Ryan Pesch, making just one error in the 23-minute match. 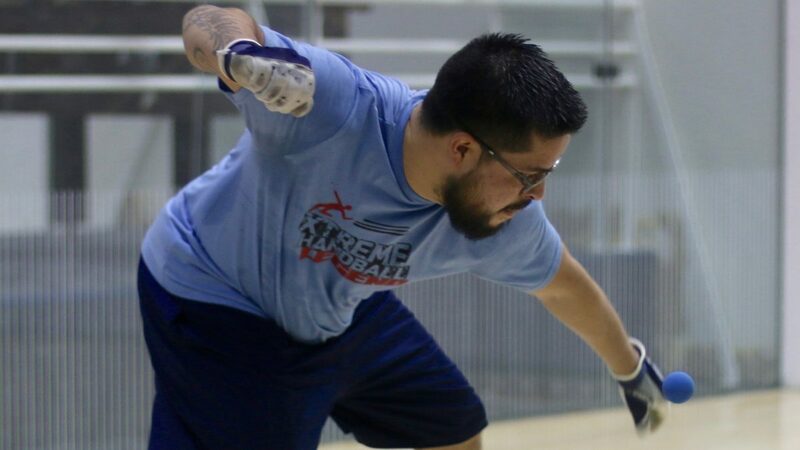 Luis Moreno continued the stellar play that saw him win his 10th R48 title at Plummer three weeks ago, dominating game one and overcoming a 2-7 deficit in game two to take down junior rival and 3WallBall world champion Shorty Ruiz. The marquee match of the day pitted Elite 8 staple Emmett Peixoto against surging comeback player of the year contender Andy Nett. 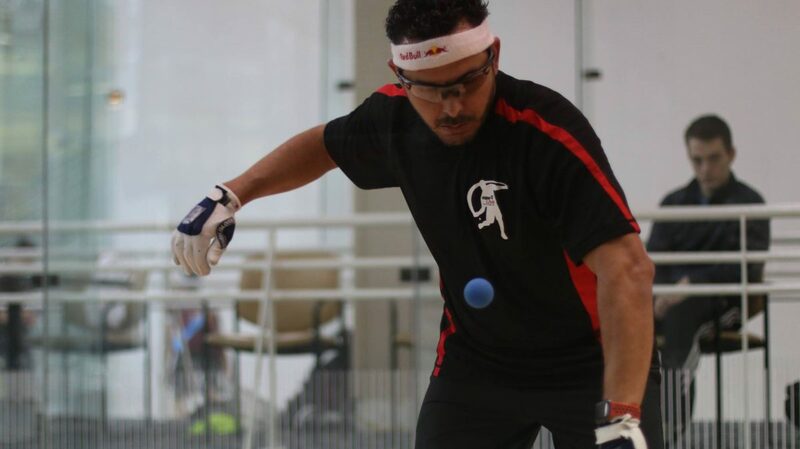 Peixoto entered the clash as the only player on the R48 6 tour to finish inside the top five in all three stops this season, but “The Rock” found himself trailing 12-4 in game one. Peixoto rallied, scoring the final 11 points of the game to steal a one-game lead. Tied at seven in game two, Peixoto paid a visit to the trashcan to throw up and returned sluggish and a half step slower. Nett served for the game at 14-11 and needed four serves to close out game two and force a tiebreaker. 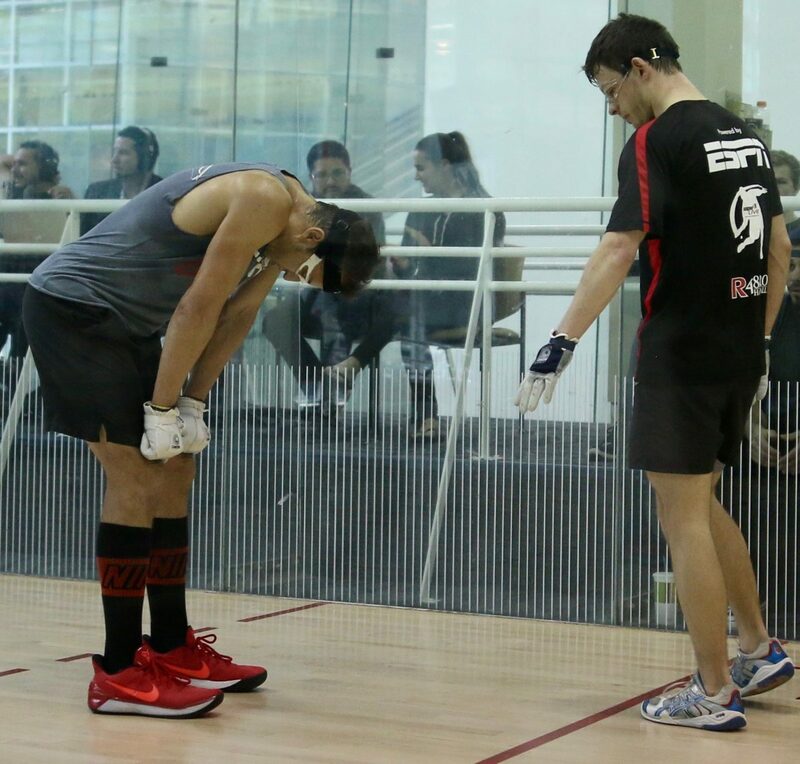 Nett and Peixoto traded six side outs before a point was scored in a tiebreaker. 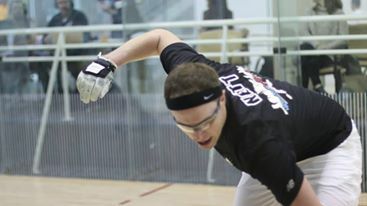 Nett eventually led 4-2 before a Peixoto raced to an 8-4 and 12-5 advantage. 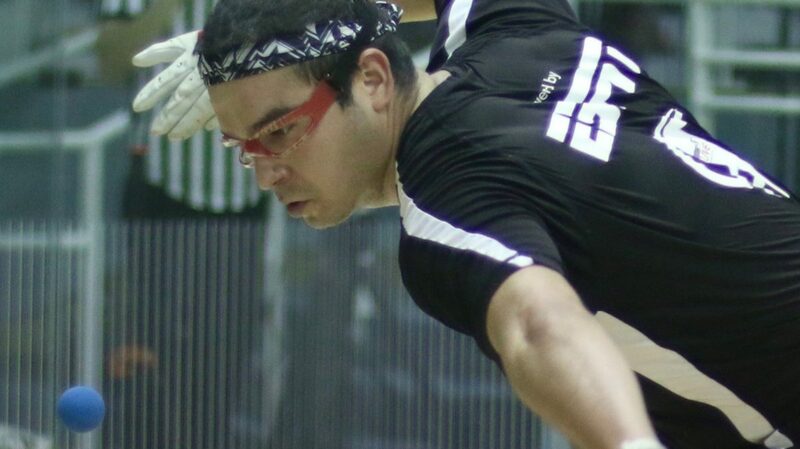 Nett fought back, scoring six of the next eight points to close within two when Peixoto lunged and tweaked his back on the 31st shot of the 11-13 rally. 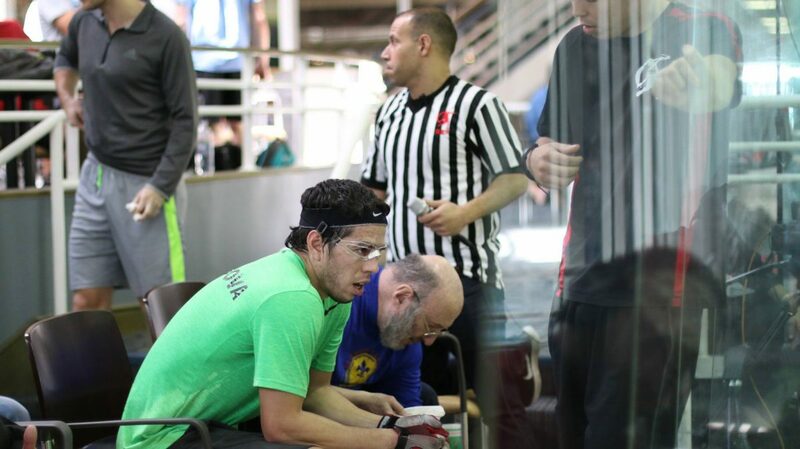 Peixoto took a 15-minute injury timeout but was barely able to swing following the break. Nett served for the match at 14-13 and ultimately closed out the thriller, 16-14. Watch Saturday’s matches from The Big Easy live on the ESPN App ESPNApp starting at 10 am central time (here), as the WPH continues its electrifying handball coverage for the third consecutive season on the Worldwide Leader in Sports.